576 pages | 190 B/W Illus. 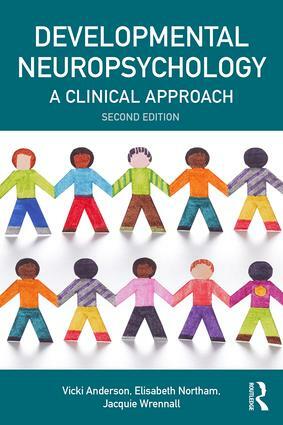 This fully updated edition of Developmental Neuropsychology: A Clinical Approach addresses key issues in child neuropsychology with a unique emphasis on evidence-informed clinical practice rather than research issues. Although research findings are presented, they are described with emphasis on what is relevant for assessment, treatment and management of paediatric conditions. The authors focus on a number of areas. First, the text examines the natural history of childhood central nervous system (CNS) insult, highlighting studies where children have been followed over time to determine the impact of injury on ongoing development. Second, processes of normal and abnormal cerebral and cognitive development are outlined and the concepts of brain plasticity and the impact of early CNS insult discussed. Third, using a number of common childhood CNS disorders as examples, the authors develop a model which describes the complex interaction among biological, psychosocial and cognitive factors in the brain-injured child. Finally, principles of evidence-based assessment, diagnosis and intervention are discussed. The text will be of use on advanced undergraduate courses in developmental neuropsychology, postgraduate clinical training programmes and for professionals working with children in clinical psychology, clinical neuropsychology and educational and rehabilitation contexts. The text is also an important reference for those working in paediatric research. From being an area primarily on the periphery of mainstream behavioural and cognitive science, neuropsychology has developed in recent years into an area of central concern for a range of disciplines. We are witnessing not only a revolution in the way in which brain-behaviour-cognition relationships are viewed, but also a widening of interest concerning developments in neuropsychology on the part of a range of workers in a variety of fields. Major advances in brain-imaging techniques and the cognitive modelling of the impairments following brain injury promise a wider understanding of the nature of the representation of cognition and behaviour in the damaged and undamaged brain. Neuropsychology is now centrally important for those working with brain-damaged people, but the very rate of expansion in the area makes it difficult to keep with findings from the current research. The aim of the Brain, Behaviour and Cognition series is to publish a wide range of books that present comprehensive and up-to-date overviews of current developments in specific areas of interest. These books will be of particular interest to those working with the brain-damaged. It is the editors' intention that undergraduates, postgraduates, clinicians and researchers in psychology, speech pathology, and medicine will find this series a useful source of information on important current developments. The authors and editors of the books in the series are experts in their respective fields, working at the forefront of contemporary research. They have produced texts that are accessible and scholarly. We thank them for their contribution and their hard work in fulfilling the aims of the series.